For Aaron and Maureen, things got ring-on-the-finger official in Dry Tortugas National Park in Florida. 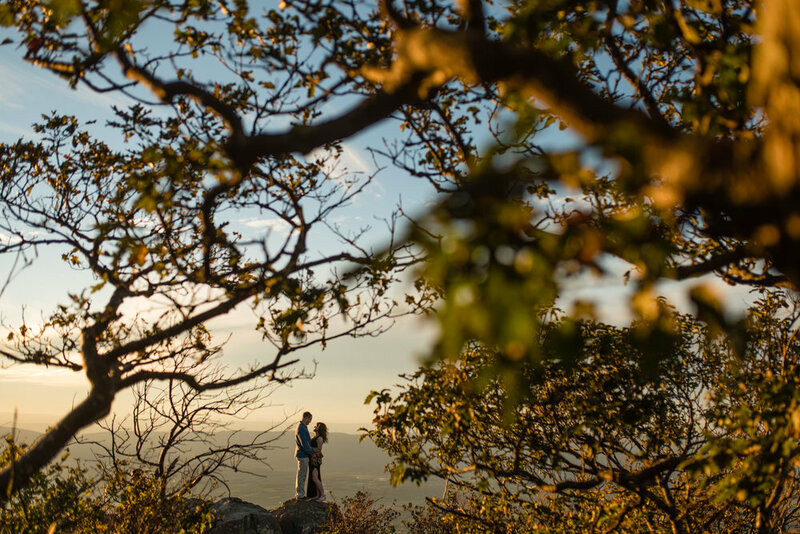 So when it came time for these two Baltimore natives to have their engagement session, they knew they wanted it to be in a National Park. The day of their session was one of the first truly fall days with crisp temperatures and beautiful golden light. These two were up for anything, so I took them on two different hikes to get great images! We started with a 1.5 mile round trip to a waterfall, followed by a one mile round trip hike to a expansive vista. Throughout the hike Aaron and I had to try to keep up with Maureen; she moves on the trail! I loved the chance to get to know these two and grab some pizza together afterwards. Enjoy their photo story below!